QuickTime, a multiplatform developed by Apple, is a powerful multimedia technology with a built-in media player for handling video, sound, animation, graphics, text, interactivity, and music. It supports most major video, audio, and graphics file formats. QuickTime player lets you view Internet video, HD movie trailers, and personal media in a wide range of file formats. And it lets you enjoy them in remarkably high quality. While it is widely used, how much do you know about this player? Have you ever got into it? Read this article and you will get a deeper understaning so as to better use it in the future. The first version, dating back to 1991, was at the forefront of bringing video to personal computers and had a tremendous impact on personal computing, multimedia, and the Internet since its introduction. 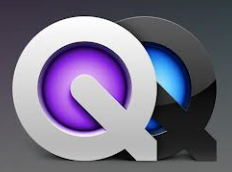 After over twenty years, so many things has changed, QuickTime still dominates among users with its variety families. Let's have a brief view of all the versions of QT pros. As to be discussed below, the incapability of QuickTime for Mac to support many common formats is one of its major shortcomings. Different movies and videos are put in different video and audio formats, like WMV, AVI, MKV and many more. Let's have a look at the most commonly used media file formats supported by QuickTime below. As we can see above, QT is confined to its limited supported video formats. If you want to enjoy videos in other formats such as FLV, WMV, AVI, MKV and etc on QT Player, including the latest QuickTime 7, QuickTime X, and previous vresions, MacX Video Converter Pro is definitely what you need. Built in 370+ video & audio codecs, this video converter offers easy solution for you to convert MKV, M2TS, MTS, TS, AVCHD, MP4, FLV, WMV, AVI, etc on Mac to/from QuickTime MOV with 5X faster speed and no quality loss. QuickTime doesn't do many tasks as other programs do. But it does allow you to do many things that the other programs don't. Here we list the both sides. 1. Support for H.264 compression. QT features advanced video compression technology called H.264 to deliver brilliant, crisp HD video using less bandwidth and storage. 2. Works great with HD videos. Working great with HD and Full-HD videos is another secret of its popularity. You can experience pristine video quality of any movies or videos. 3. Audio playback integration. It also offers integration with your browser so you can watch videos right from its window without the need to save the content to disk. 1. Many extra codecs are needed for playback. Through it performs well during audio and video playback, you have to install codecs manually. 2. Installs bloatware. Like most Apple softwares, QuickTime needs to install additional tools, also known as bloatware. As a matter of fact, this is just eating extra space on the disk as many systems has already equipped with similar ones. This also causes other follow-up problems such as software update and application support. 3, Doesn't support some common video formats. The biggest disadvantage is that Quicktime player doesn't support some popular video formats, like WMV, AVI, MKV, DivX and etc. You have to convert the videos in those formats first. As discussed above, although QT gets the job done well in many asepcts, its codecs and built-in features are a little limited and not enough to meet many users' needs. In these cases, you can turn to other Quicktime alternatives which can do the same tasks. Among the front QuickTime alternatives come the VLC Media Player, MPlayerX, Plex, Miro and etc. Summary: In a nutshell, QT Player is, beyond all questions, one of the most popular platform to play video, sound, animation, graphics, text, interactivity, and music. Its enduring popularity indicates its reliability and practicability to some extent. However, if you want more, like downloading YouTube videos and converting other video formats QuickTime MOV, you are definitely not going to miss this MacX Video Converter Pro.